Keep cookouts going into the fall with expert tips, seasonal recipes and festive décor. The weather may be getting colder but that doesn't mean the glory days of backyard barbecues are over. Entertaining expert Nathan Turner keeps the grilling going well into the fall season with these fun decorations, expert hosting tips and seasonal recipes. Set up a versatile chili bar to keep entertaining easy. Serve a pot of chili and various toppings so people can load up their own bowls. Some of my favorite fixings include shredded cheddar, sliced jalapeños, corn chips, sour cream and diced red onion. You can customize your spread any way you like. Serve the toppings in tin cans for a festive touch. Keep the pot of chili warm on the grill or serve it in a heavy Dutch oven to keep it hot. 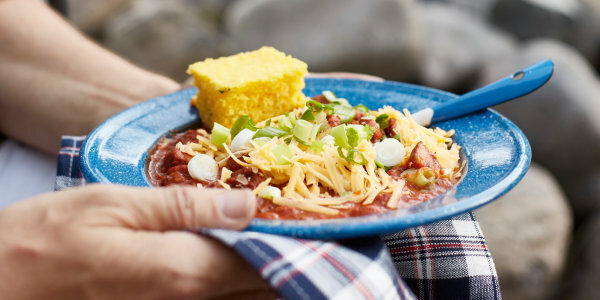 "Nothing warms you up on a cold day quite like a bowl of hearty chili," says Turner. "What makes this one special is the addition of espresso powder, Mexican beer and pureed Anaheim chiles. They add an incredible depth of flavor that makes this meaty meal even more satisfying." 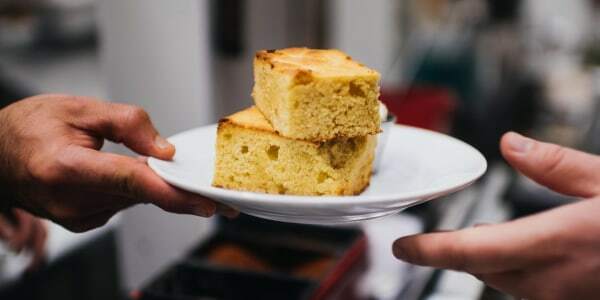 "I love the zesty heat that jalapeños add to this classic corn bread. If you're not a fan of spicy foods, scrape the seeds and ribs out of the chiles before slicing."